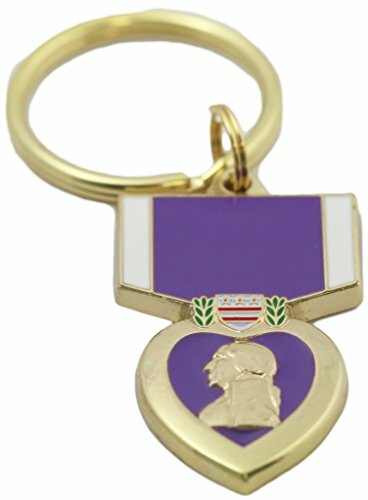 You'll be proud to carry this US Purple Heart Key Ring dedicated to every veteran who served in any branch of our Armed Forces. Complete with the likeness of the Purple Heart Medal on the front and "For Military Merit" on the back. Soldiers who receive the Purple Heart were wounded in combat during military service. Carry this keychain with pride and express to the world your feelings about your country. A perfect gift for that special soldier in your life or one whose memory you want to honor. Part of our Patriotic Collectors Series!